Newcastle University is ranked in the top 10 for student experience in the UK for the third year in a row, according to latest survey results. March 24, 2017: Published yesterday (23 March), the Times Higher Education Student Experience Survey 2017 places Newcastle University 8th overall in the UK, cementing it as one of the leading institutions in the country for the experience it offers to its students. 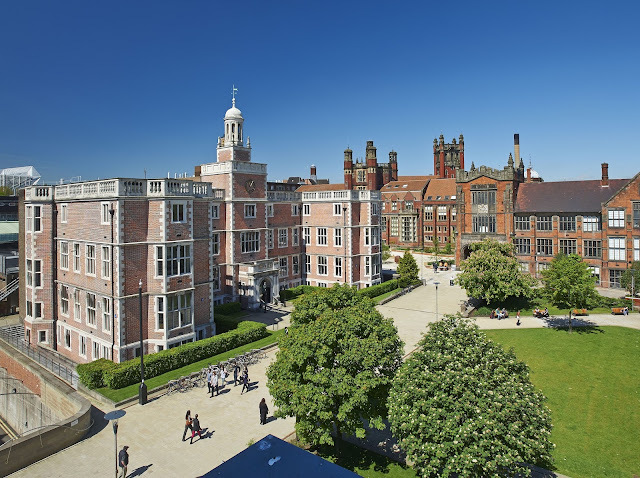 Newcastle University scored outstanding marks for the academic provision and its students placed it third overall in the recommendations category (students who would recommend it to a friend). It was also ranked third in the societal experience category, which encompasses social life, community atmosphere, extracurricular activities, societies and good environment around campus. Student satisfaction results are high across a number of experience areas, including high quality of lecturers, helpful staff, good support and welfare, and high-quality facilities. Professor Suzanne Cholerton, Pro-Vice-Chancellor for Learning and Teaching, Newcastle University, said: “We are delighted our students continue to rank their experience so highly. This consistently outstanding performance is credit to our staff whose excellent academic and personal support ensures our students get the most from their time studying and living here. The survey is based on the responses of more than 15,000 undergraduates rating their university across 21 measures based on a seven-point rating from “strongly agree” to “strongly disagree”. The survey covers a wide range of student experience areas, such as: academic experience, university facilities, societal experience, student welfare, accommodation, industry connections, and security. The Times Higher Education Student Experience Survey 2017 is the latest in a long list of independent student guides reflecting the high level of student experience and satisfaction at Newcastle University. The latest National Student Survey (NSS), shows that 90% of students are happy with their time in Newcastle – placing it joint 12th in the UK when compared against comparator institutions. In the latest International Student Barometer (ISB) Survey 2016, the University scored a satisfaction rating of 94% amongst its international students. The Sunday Times Good University Guide 2016 place Newcastle University among the best the UK for student satisfaction with an 88.4% score.